I wanted a shoe with a heel. 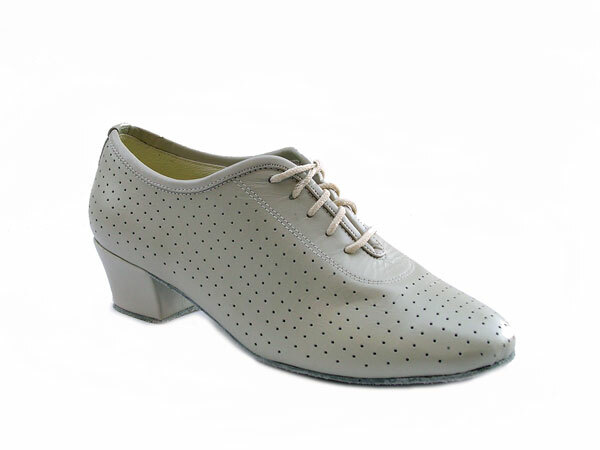 My other shoe is a jazz shoe which has no heel but is very soft and does not bother my little toe which had been broken many years ago and causes problems from time to time. This shoe looked more like light grey in the photo and I liked that but it is actually more beige. I like this color too. I ordered a half size larger because of my toe and this shoe has worked out well. It's attractive and has some give to it after it is worn for a bit. It is a good fit on my other foot as well. My introduction to dance shoes is a good one! Highly recommended. Great service and a great product. Thank you.